Falmouth took the lead for good in the sixth inning to capture a back-and-forth game from Yarmouth by a 13-10 score on Friday. The game was tied at ten with Falmouth batting in the top of the sixth when Reece Armitage doubled off of Ethan Belesca, driving in one run. Robbie Armitage led Falmouth to victory by driving in five runs. He went 3-for-3 at the plate. Armitage drove in runs on a double in the third, a single in the fourth, and a single in the sixth. ​Falmouth Yachtsmen Varsity took an early lead in the first inning. An error scored one run for Falmouth Yachtsmen Varsity. After Falmouth Yscored four runs in the top of the fourth, Yarmouth answered with four of their own. 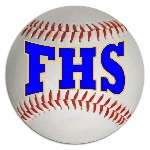 Falmouth scored when Armitage singled off of Nate Dealaman, driving in one run and Reece Armitage tripled off of Ethan Belesca, driving in three runs. Yarmouth then answered when there was an error, scoring one run and Jack Romano singled off of Griff Aube, driving in two runs. Robbie Armitage earned the win for Falmouth. He tossed three innings, giving up zero runs, zero hits, striking out seven, and walking one. Belesca took the loss for Yarmouth. He pitched three and a third innings, giving up four runs, four hits, and striking out four. Dealaman started the game for Yarmouth. He threw three and two-thirds innings, surrendering nine runs, five hits, and striking out six. Armitage started the game for Falmouth. He tossed three innings, giving up five runs, six hits, and striking out three. Falmouth had nine hits in the game. Robbie Armitage and Reece Armitage each collected multiple hits for Falmouth Yachtsmen Varsity. Yarmouth collected ten hits. Luke Waeldner, Gibson Harnett, and Romano each collected multiple hits for Yarmouth. Harnett led Yarmouth with three runs batted in. He went 2-for-4 on the day.